7art Pisces Zodiac Clock screensaver: magical clock talisman for Pisces zodiac sign. Pisces is a very evasive and mysterious person with vulnerable, sincere nature. Fortuities and unexpected acquaintances are often useful for this person. 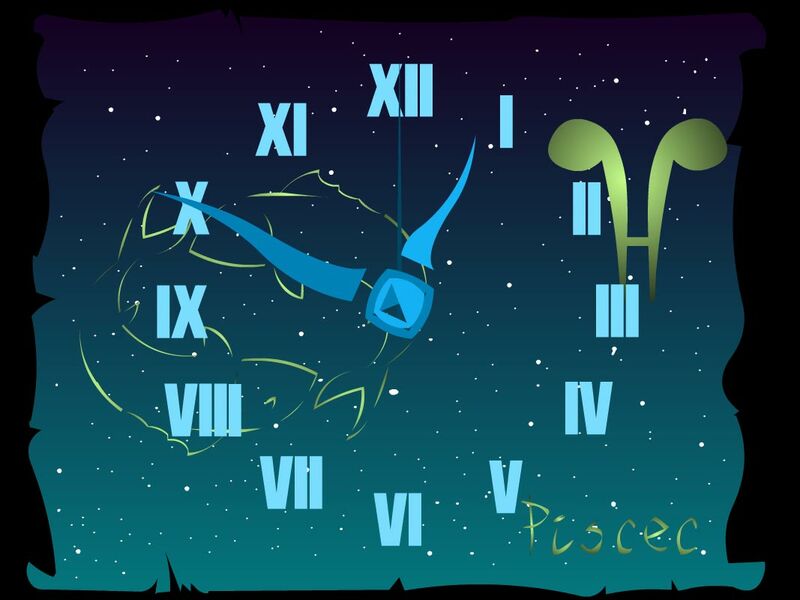 Pisces does not keep his luck inside, as he is a very generous person. It is very useful for Pisces to live at the seaside and go in for music and poetry.